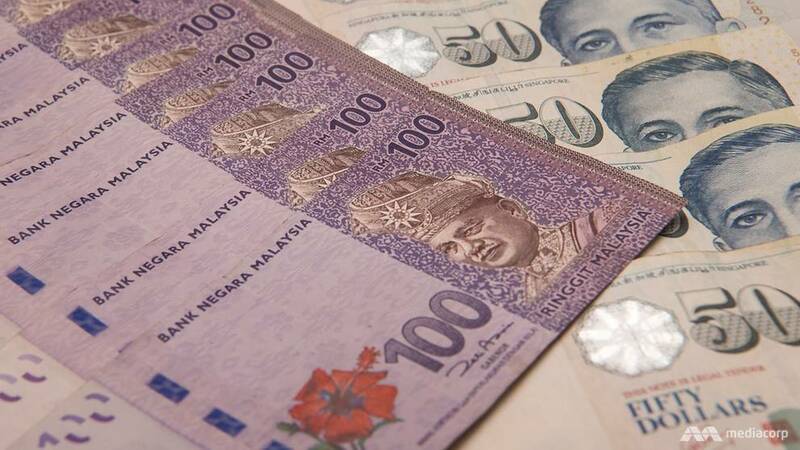 SINGAPORE: The Singapore dollar rose to a 17-month high against the Malaysian ringgit on Wednesday (Apr 17), as demand for the Malaysia currency weakened amid concerns the country’s debt may be removed from a key global bond index. The Singapore dollar rose to an intraday high of RM3.0632 on Wednesday, the highest since the Singdollar touched RM3.0724 on Nov 20, 2017, according to global financial portal investing.com. Year-to-date, the Singdollar has risen 0.74 per cent against the ringgit, according to Bloomberg. FTSE Russell, a global index provider, said on Monday it could drop Malaysia from the FTSE World Government Bond Index (WGBI) because of concerns about market accessibility and liquidity. Malaysia could see outflows of almost US$8 billion if its bonds are downgraded when FTSE Russell carries out its review in September, Morgan Stanley said in a research note. Phillip Capital Management senior vice-president (investment) Dr Nazri Khan Adam Khan said concerns over the potential downgrade had influenced investors’ risk-appetite. Although the impact might be temporary, he expects the ringgit downtrend to prolong until the end of this week. “Our foreign fund (selling) has stabilised, so supposedly the outflow will stabilise soon. This concern (FTSE Russell) is just a knee-jerk reaction,” he told Bernama. In its first Fixed Income Country Classification Review, FTSE Russell placed Malaysia and China under its full watch list of fixed income markets that will be reviewed for potential changes to their market accessibility levels. Malaysia, currently assigned a “2” and included in the WGBI since 2004, was being considered for a potential downgrade to “1”, making it ineligible for inclusion, FTSE Russell said. FTSE Russell said it would continue to engage with local regulators and market participants in Malaysia and China to assess the potential changes to a country’s classification. The position of Malaysia and China would be reassessed in September, with any exclusion or inclusion changes taking place after that date.